This Viral Thread About How To Draw An X Has Me Questioning Everything! We all have our own ways of doing things; for instance, when I make coffee, I steam my milk first and then brew my coffee into the steamed milk. Other people brew their coffee and then pour the cold milk in. These are simple things that we do every single day that we never give a second thought to. How you write letters and numbers probably tops that list, you more than likely never even think about it. Draw an X. Go ahead I will wait. How do you do it? Do you start from the left or do you start from the right? As it turns out there are many different ways to draw an X, and currently, the internet is going crazy over it! This all started with a Twitter user who goes by the “name” @SMASEY. 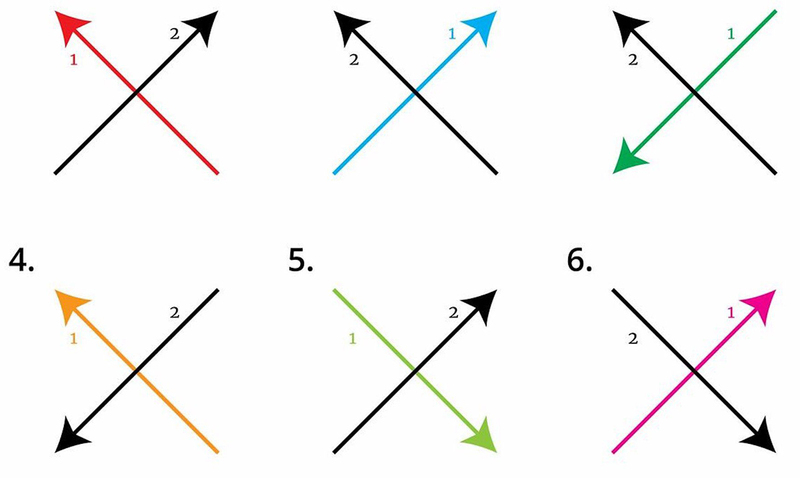 “Which way do you draw an X?” She tweeted, showing 8 different possibilities, each with a different color for the first stroke. Many people showed confidence in their answers, others not so much. And many, just like me were not even aware that there were multiple ways to do something as simple as writing an X. How do you write an X?